PRESS RELEASE: Cane Creek Cycling ComponentsWe are proud to announce the addition of the HELM Works Series 130 fork to the Cane Creek suspension lineup.The HELM Works Series 130 is a 29/27.5+, 130mm travel, air fork optimized for aggressive riding on shorter travel bikes. 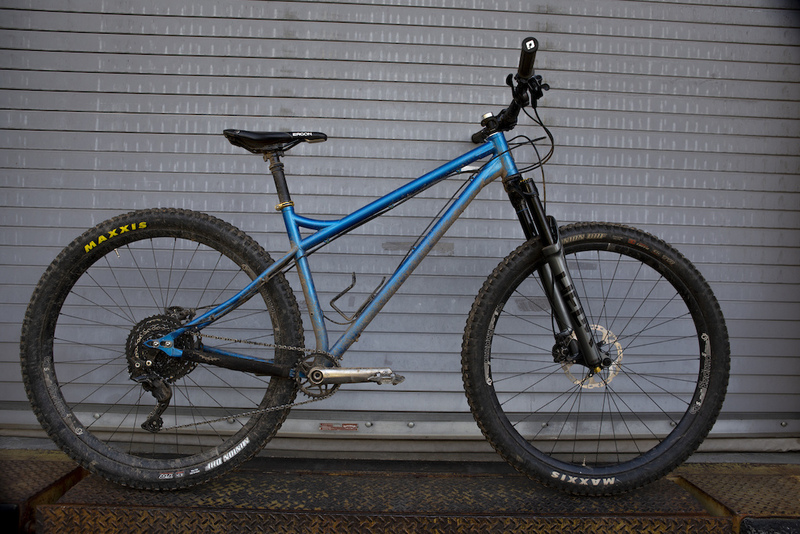 Built on the critically acclaimed HELM platform, the Works Series 130 provides the same stiffness and support of the standard HELM 29 Air while including several new features designed to optimize the fork for aggressive XC and lightweight trail riding.The fork is equipped with a 44mm offset hollow crown, a bolt-on D-Loc axle and optimized internals resulting in a 100g weight savings over the standard HELM 29 Air. The Work Series 130 also includes a “Climb Switch” feature allowing riders to quickly stiffen the suspension mid-ride to create an incredibly stable platform for climbing. The Works Series 130 includes the same independently-adjustable dual-chamber air spring and accessory-free air volume adjustment as the standard HELM 29 Air providing riders with a great deal of versatility and adjustability to suit their particular riding style.The fork is available with a polished black anodized crown and gunmetal grey lowers with black graphics unique to the Works Series 130. 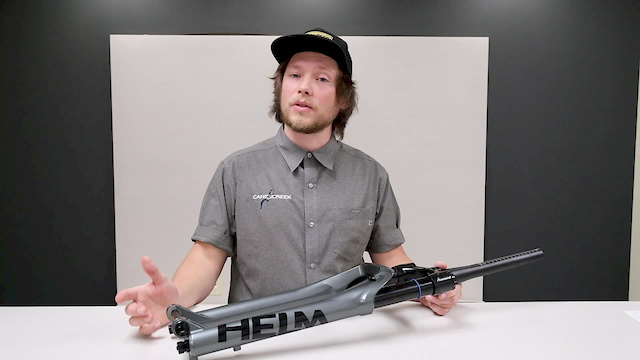 It will retail for $899 - the same price as all other HELM series forks - and will be available in May 2019 wherever Cane Creek products are sold. The new bolt-on version of the D-Loc axle will also be available as an aftermarket upgrade to existing HELM forks.